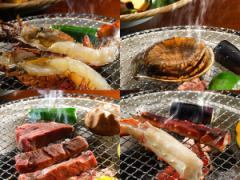 We are preparing seasonal ingredients and cuisines that make use of local ingredients at Futaba. 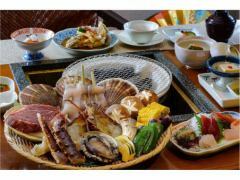 Enjoy cuisine in private restaurant and meal venue. Enjoy breakfast of Futaba at the beginning of the day. ◆It is the most popular plan which is the longest in the hotel. 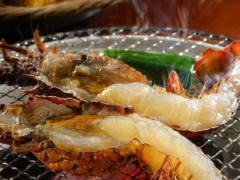 Please enjoy fresh seafood from Izu, Japanese Spiny Lobster which can not be enjoyed easily at home. Apart from Japanese Spiny Lobster, seasonal sashimi serving 3 points, boiled and fried, seasonal dishes are served with 8 items. 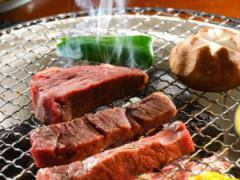 It will be served at a meal venue or private restaurant. Please note that it is not possible to specify a meal location. Please enjoy baking with Binshotan-Charcoal in front of you. 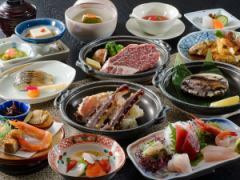 ◆Private Room Dining Torii is our most popular plan! 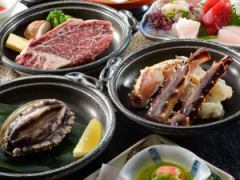 Abalone as a main ingredient of charcoal grilled fish, raw crabs, steamed beef, Japanese Spiny Lobster and chopped one from 1 Japanese Spiny Lobster. You can use one person at a time. 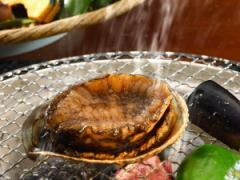 In addition to this, we serve scallops and seasonal vegetables in Binshotan-Charcoal in front of our eyes. 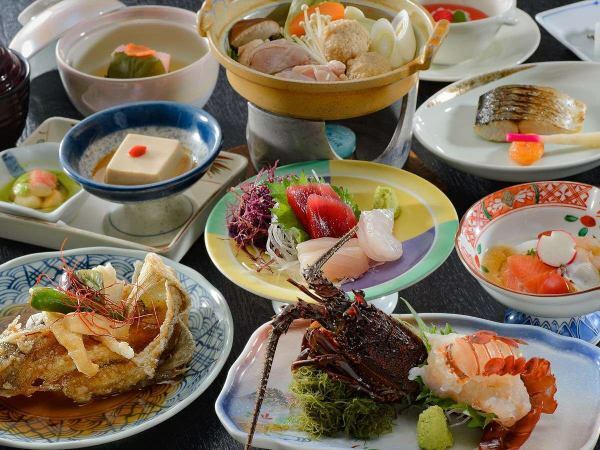 It is served in a private room restaurant. ◆Japanese Spiny Lobster of Japanese Spiny Lobster and dancing of Abalone are each a luxurious plan that attaches to one person. 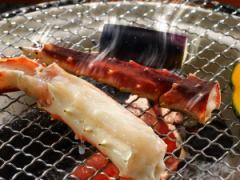 Please enjoy the fresh seafood of Izu. 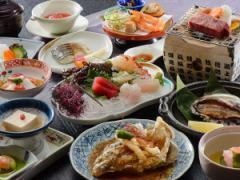 Eleven items in total are dishes that the chief chef used plenty of fresh seafood and seasonal ingredients directly purchased at Numazuko. ◆Activate the principal ingredients of pottery grilling, a raw dish from the cow steak, raw dishwasher. 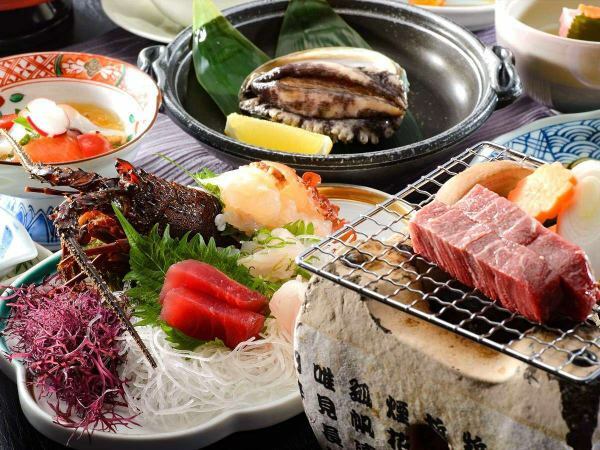 In addition to the main ingredients, there are 9 varieties of monthly dishes such as local fish sashimi 5 sashimi, fried food, simmered dish, dish of vinegared dish etc. Breakfast after breakfast lounge after breakfast is good, but breakfast to eat after taking a walk in Izunagaoka's inn is good. Chief Chef Passion "Morning Healthy Fluffy Egg Grill"
Free morning service.Time after breakfast. 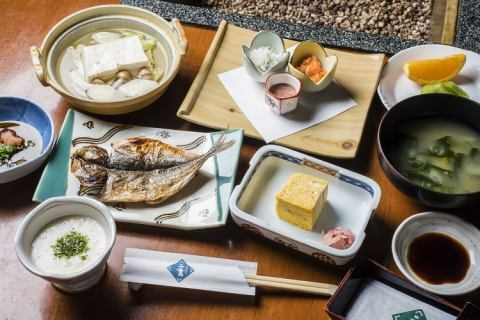 Freshly baked Numazu specialties Fish dried by horse mackerel and hot tofu of local mouth-tofu store are popular. 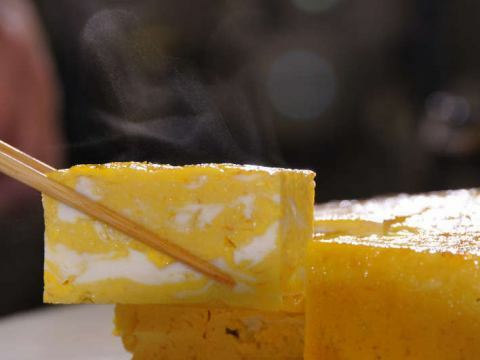 A morning classic "Egg Grill" where the chief chef is baked one by one. Please eat it as it is hot so please do it. In the first floor lobby, at 7:30 am in the morning We have fresh and delicious Tanna Milk and a warm warm coffee local fresh. As it is self-service, please enjoy the relaxed time before breakfast, after breakfast and before departure. First time staying in February this year, thank you again for having a good impression. It is a very comfortable place to have a service from our employees, including service manager. Meals were delicious with each food ingredient being scrutinized, and the amount was the best and reasonable. It is an inn which I want to stay.